photographing segregation in the American South, Fidel Castro in Cuba during the early 1960s, Marilyn Monroe standing over the subway grate in the famous scene from The Seven Year Itch, and an anguished Jacqueline Kennedy clutching a folded flag at her husband's funeral. Perhaps Elliott is best known for his images of everyday life - a dogs eye view of a hat-wearing Chihuahua next to the legs of a towering Great Dane or his wife looking lovingly at their newborn in their New York apartment in 1953. Whatever Erwitt is photographing, his images illustrate a unique combination of charm, wit, and melancholy. "If my pictures help some people to notice things in a certain way...perhaps to look at serious things not seriously and not serious things seriously, I would be pleased. In my photography I think everything is serious and everything is not serious." 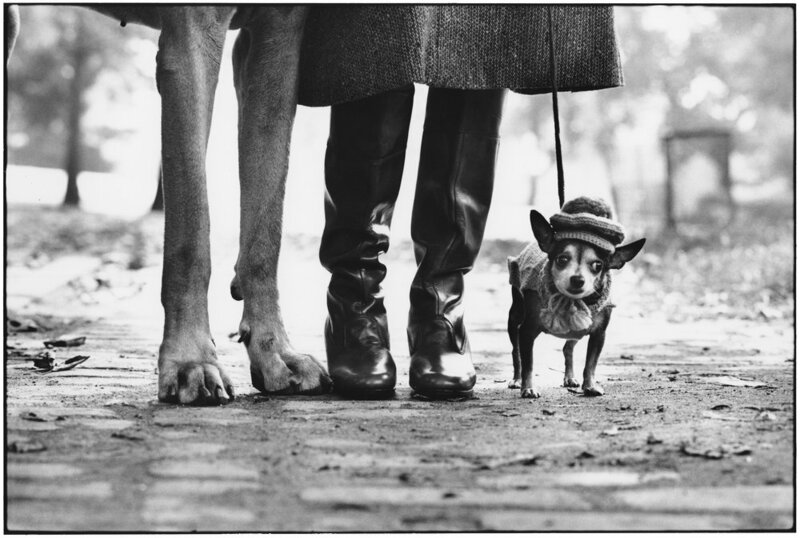 Erwitt was born in Paris, France to Russian parents and spent his early years in Milan. He immigrated to New York in 1938 and moved to Los Angeles the following year. His interest in photography began as a teenager living in Hollywood, California. 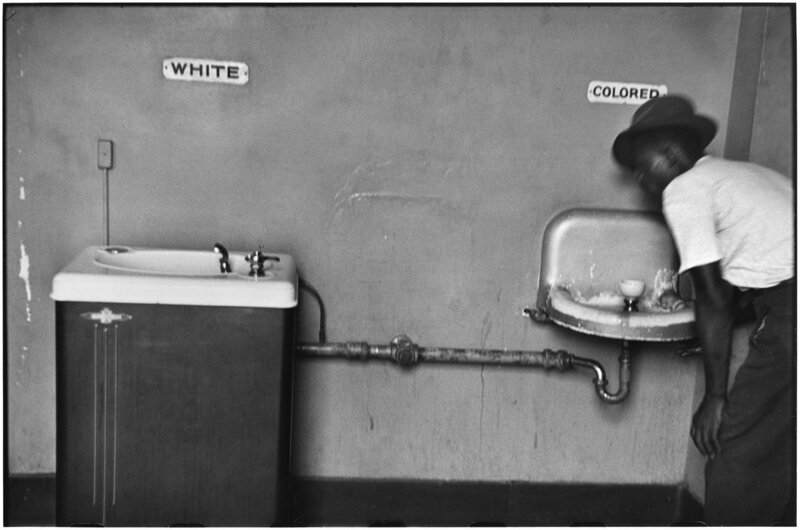 While a student at Hollywood High School, Erwitt began working in a darkroom developing celebrity portraiture. In 1948, Erwitt moved to New York where he met photographers Edward Steichen, Robert Capa, and Roy Stryker. As a young member of this elite photographic milieu, Erwitt's professional career blossomed. Elliott Erwitt has participated in a variety of one-person exhibitions in museums and galleries around the world including: The Museum of Modern Art, New York; The Smithsonian Institution; The Art Institute of Chicago; Zurich's Kunsthaus; and Cologne's Photokina. Over 70 books have been published on Erwitt's work, including Personal Exposure (Norton and Company, 1988), Snaps (Phaidon, 2001), Personal Best (TeNeus, 2006), Elliott Erwitt's Paris (TeNeus, 2010), Elliott Erwitt's KOLOR (TeNeus, 2013), and Regarding Women (TeNeus, 2014). In tandem with multiple terms as President of the Magnum Photo Agency, Erwitt continues to be one of the leading photographers of his generation.